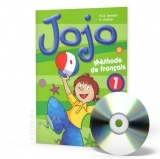 The audio CD, when attached, contains a selection of texts, read by mother- tongue speakers. The Sign of Four - Pocket Classic. These are series of well- known works by some of the most renowned writers of the English-speaking world. Each text contains a brief introduction designed to outline the life and works of the author and to put the particular work in context. Footnotes are provided, where necessary, to aid...more.. The Strange Case of Dr Jekyll and Mr Hyde - Pocket Classic. These are series of well- known works by some of the most renowned writers of the English-speaking world. Each text contains a brief introduction designed to outline the life and works of the author and to put the particular work in context. Footnotes are...more..
Three Men in a Boat - Pocket Classic. These are series of well- known works by some of the most renowned writers of the English-speaking world. Each text contains a brief introduction designed to outline the life and works of the author and to put the particular work in context. Footnotes are provided, where necessary, to aid...more..
Virgin and the Gypsy (The) - Pocket Classic. These are series of well- known works by some of the most renowned writers of the English-speaking world. Each text contains a brief introduction designed to outline the life and works of the author and to put the particular work in context. Footnotes are...more..
Wessex Tales - Pocket Classic. These are series of well- known works by some of the most renowned writers of the English-speaking world. Each text contains a brief introduction designed to outline the life and works of the author and to put the particular work in context. Footnotes are provided, where necessary, to aid...more..
White Fang - Pocket Classic. These are series of well- known works by some of the most renowned writers of the English-speaking world. Each text contains a brief introduction designed to outline the life and works of the author and to put the particular work in context. Footnotes are provided, where necessary, to aid...more..